One of the greatest challenges for new teachers and veterans alike can be lesson planning. For new teachers, getting to know the curriculum and finding ways to enliven it for students can sometimes be daunting. For veterans, keeping lessons fresh and new ideas flowing, even when you’ve taught the same thing for years, can be tough. 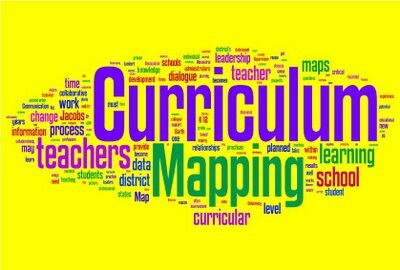 One thing that schools and districts are starting to do to support teachers is to help them create curriculum maps. Even if your school doesn’t do curriculum maps, it may be a practice you could benefit from personally and professionally. 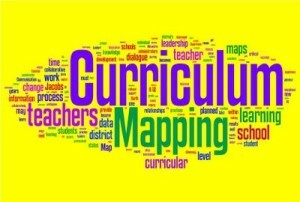 In basic terms, a curriculum map is a way to visually organize the content, skills, assessments, and needed resources within a particular curriculum. It sets out a timeline of what, how, and when kids are learning particular ideas and facts. Within a department, a curriculum map allows teachers who teach the same subjects a way of reaching the same benchmarks and goals, which can cut down on problems with students transferring between classes, and can help in Professional Learning Teams. Within a district at a longitudinal level, a curriculum map can be immensely helpful in knowing students’ background knowledge coming into each level of class. Or, simply within a high school, the Physics teacher can have an idea of what Biology and Chemistry topics the students have covered before coming into his class. A senior English teacher has access to what social science issues her students have already encountered that she might be able to incorporate into literary themes. With curriculum maps, administrators and teachers also have a simple, straightforward way to engage with regard to evaluations and Common Core standards. There are many different software programs now that assist districts and departments in curriculum mapping, and some schools give departments specific professional collaboration time to work on them. However, if a school hasn’t begun a mapping approach to curriculum, an individual teacher can feel at sea in trying to match up Common Core, state standards, district and state benchmarks, and their own professional understanding of what students should be learning in their subject area. The following brief mapping tips might help a new or veteran teacher to organize their curriculum in such a way that they can know the big picture and have space to inject new ideas, creative assessments and plans for new resources. To create a basic curriculum map for a subject that you teach, set up a table with six columns. Your mapping will follow a simple backwards-planning model, where you first lay out the ultimate lesson to be learned with an Essential Question, and work from there. Remember, a curriculum map is big picture, so you are not inserting detailed lesson plans here. This just provides the outline and guidance for those lesson plans. First Column: The Month. As you get more familiar with your own pacing and calendar, you may want to distinguish a different timing mechanism. For your first map, using months helps you pace through the school year. Why is Geography important to understanding Culture? How do scientists use the periodic table to describe properties of the elements and determine the uses of elements? How does an author use language devices (diction, imagery, symbolism) for specific effects in short stories? By setting an essential question, your lesson planning then has a direction, and your assessments have a foundation. Third Column: Content/Lessons. This is where you will list the individual lessons you like to include for each unit. You may have anywhere from 3-10 lessons in a unit, depending on the breadth of that unit. This is where you can reference any content standards you are matching. Fourth Column: Skills. What skills will the students be learning during each unit. This can be especially helpful for teachers who must include standardized and/or high stakes testing in with their curriculum. Those skills can be helpful across all areas of study. Fifth Column: Assessment. This column will allow you to map out a variety of assessments so you can see when you are repetitive and where you can possibly switch up types of assessments you use. Sixth Column: Resources. List the materials and resources you need for the various lessons in the unit. For one unit, you may want to make sure you have enough colored pencils for a map project. For another unit, you may want to make sure you have lined up a guest speaker. Having it on your map will allow you to look ahead and be prepared for what’s coming. October What is Culture?How do we shape culture & how does culture shape us? Each of us may have approached the unit with different lessons or materials, but we were able to support each other with ideas for essential questions, standards, skills and assessments. We were also assured that if students switched between sections and teachers, they would be at the same basic point in the curriculum. We could also offer the map to the counselors to allow them background in placing transfer students who entered mid-year. There are all kinds of benefits to creating a curriculum map for yourself. Though it may take a little extra work at the front end, you will ensure a big picture to which you can refer all year to keep pace and never have to feel behind or at odds with what to do next in your planning.